We can ship your glass in this kind of equipment. The product can be loaded with a maximum glass height of 225 cm. The crates can be unloaded by an overhead crane after removing the tarpaulin. 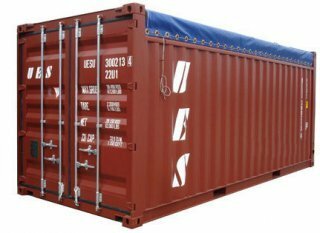 Depending on the product, the destination and the rules applicable in the countries of destination, generally speaking we can load between 18 and 28 ton per container.